DANIEL JEAN, Deputy Minister for Foreign Affairs of Canada, said his country had helped to draft the Charter, creating the Organization before, during and after the 1945 San Francisco conference. In its early years, as today, the United Nations had shown the path ahead in the area of international development. Canada supported the 2030 Agenda and the goal of eliminating global poverty, which would require new approaches and partnerships. Fundamental freedoms, the rule of law and accountable governance must be promoted. Canada had prioritized maternal, new-born and child health, having committed $3.5 billion for the next five years. While official development assistance (ODA) would play an important role in financing the Sustainable Development Goals, new ways must be found to blend financing from donors, foundations and the private sector. He urged countries to increase their efforts to protect civilians, saying that Canada had always sought to act with generosity, speed and efficiency to save life and mitigate suffering. Last year, Canada had increased its financial contribution to meet such needs in Iraq, Philippines, Syria, Ukraine and elsewhere. It had the capacity to address the refugee and migrant crisis in Europe, and had sped the reintegration of Syrians and Iraqis into the country in 2015. Canada was part of the international coalition to combat ISIL and had supported ethnic and religious minorities whose existence had been threatened. On climate change, he said Canada working to reach an effective agreement in Paris, which must address mitigation and adaptation, and include a commitment by all major emitters. Canada had announced a 2030 target to reduce by 30 per cent greenhouse gas emissions to below 2005 levels, reflecting its national circumstances, including as world leader in clean energy generation. It would continue to support international climate change financing, having pledged $300 million to the Green Climate Fund. 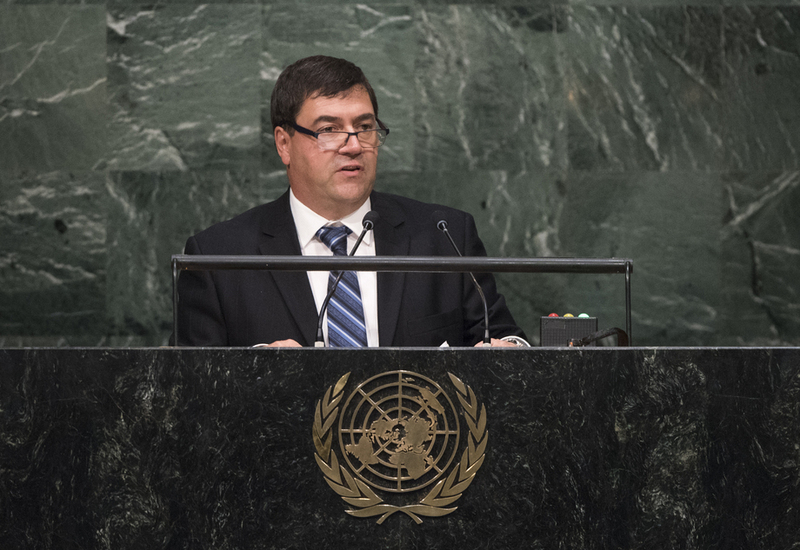 As one of the largest financial contributors to the United Nations, Canada expected the Organization to be accountable for its expenditures.